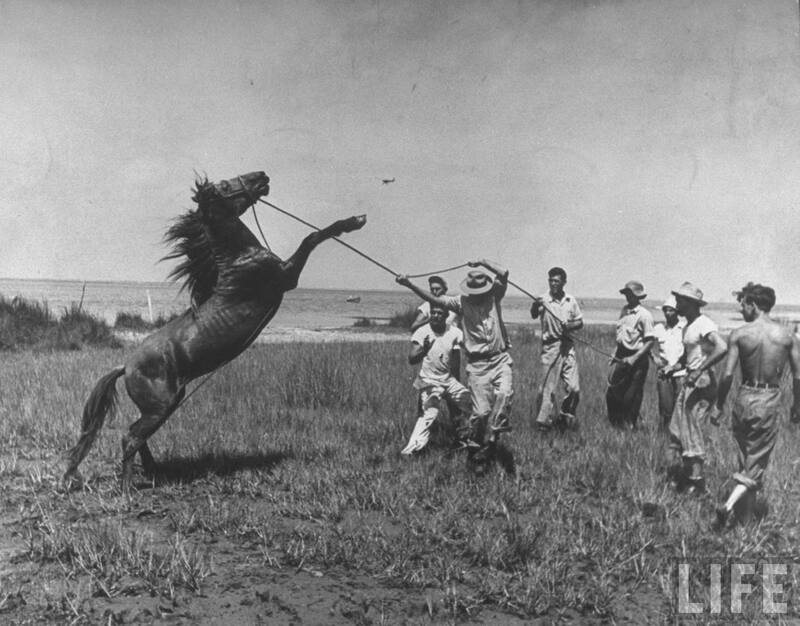 Wild horse roundup on Core Island, NC, 1946. Now, just wait a cotton-picking minute. Are you trying to tell me it’s almost been a full year since I’ve shared a playlist with you guys…and that one was CHRISTMAS MUSIC? Horrendous. Well, not the playlist — no one hates Christmas music! — but maaaaan do I need to get my act together. Presenting QC Mix VI: Wild Horses — a few songs I’ve had in heavy rotation ever since fall kicked off, a season that always has a bit of contemplative melancholy about the edges. Perhaps it’s nature’s spectacular descent into winter. Perhaps it’s the back-to-school feeling you never really outgrow. Whatever the case, fall has always felt like a time to ponder both endings and beginnings, which might explain the tone of this playlist. It’s the kind of music I want to listen to on long walks or quiet evenings. It meanders from singer-songwriter territory to rock to synth to jazz — and I hope you enjoy it. Of special note is the appearance of my amazingly talented cousin, Ben Carroll, in this mix. He’s just released his latest album, “Lighting Bonfires,” which was funded by a campaign on Kickstarter and is available for free download on his website. Hop over! You are currently reading QC Mix VI: Wild Horses at Quite Continental.